Is such a musty old art form still relevant in our time? And if so, why? And how? Decision makers in the opera industry have been wringing their hands over this question for some time now. Live in HD performances of opera have made its consumption more democratic, but the effect on box office revenues for live opera has been sobering. The traditional demographic for opera — white, wealthy, privileged — is shrinking, and opera companies are desperate to attract new audiences. The public increasingly has much greater choice, not only in how they spend their cultural dollars, but also in how they consume their culture — often just a click away. 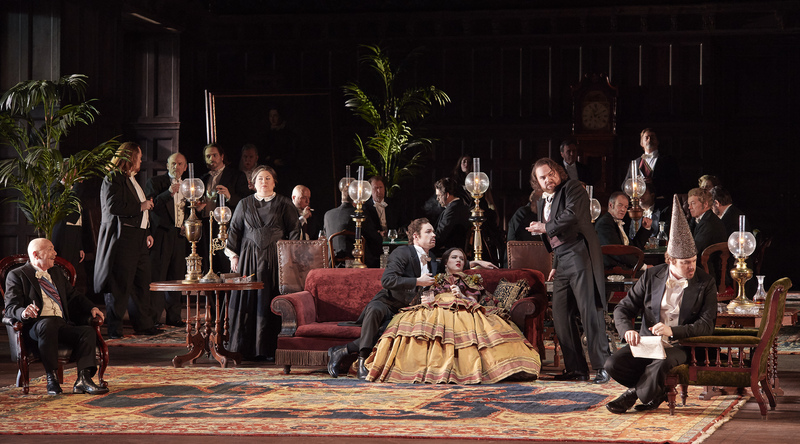 In order to seduce them off their sofas, opera companies (and any other live theatre or music) must offer their audiences something they can’t get on a TV screen and give them a reason to leave the comfort of their personal bubble. Yup, opera needs to be compelling. And it needs to feel — and be — relevant. Into this quagmire of competing interests comes the young singer, fresh out of a conservatory or university program, perhaps just finished one of the many young artist development programs that are the lifeblood of opera companies. And as Thomas Hampson said in a recent Schmopera interview, the industry these young singers are entering is not the one that those of us who have been around for a decade or two (or three), and who perhaps are educating these budding artists, entered into when we first began. Opera and music education and training need to be able to respond to changes in the industry. Artists need to be increasingly versatile, able to authentically perform in a variety of styles and genres. Young artists need to be able to "cross over" with ease, and need to bring a strong arsenal of acting and presentation skills to the table. 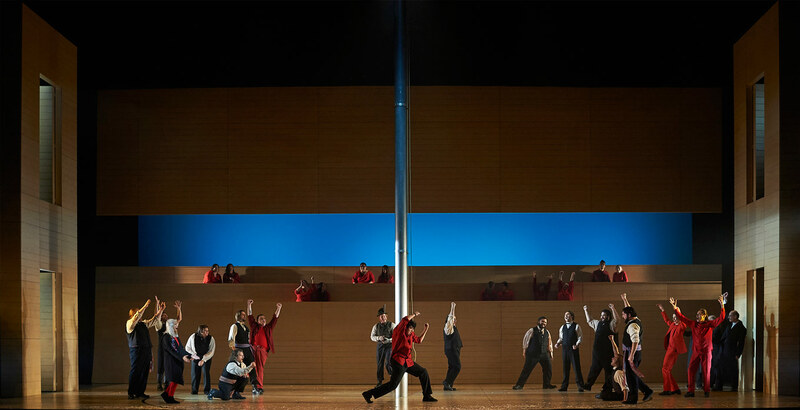 Opera as an art form needs to reclaim its social relevance to remain current. Interdisciplinarity, sharing and partnerships between companies, and diversity of voices and disciplines are all of importance in the changing climate. It follows, therefore, that it becomes an important responsibility of artists to comment on the topics of the day, no matter how messy or fraught. It can no longer stand for us present a particular historic piece of theatre art “as-is” and to satisfy ourselves with platitudes about how “that’s how it was written, it’s just of its time”. There are a number of what we could call “problematic” pieces in the standard operatic canon — Rigoletto, Così fan tutte, Eugene Onegin and Barber of Seville all come to mind. Why, you ask? Well, they represent patriarchal, misogynist worldviews. Delivered without commentary, they ask us to accept a society in which women are mindless chattels and non-persons who are incapable of making their decisions on their own, let alone possessing the agency to follow through on them. We are called upon to call out such anachronisms, injustices, divisive and even offensive ways of thinking and being. Yep. That’s it in a nutshell. The work has tremendous moments, whether musically or dramatically, and then there are the blind spots, those tone-deaf moments where you just can’t believe what you are seeing and hearing. (centre) Justin Many Fingers (Mii-Sum-Ma-Nis-Kim) as The Buffalo Dancer in a scene from the Canadian Opera Company’s new production of Louis Riel, 2017, photo: Michael Cooper. And now we come to Rigoletto. Two recent productions — at the COC last season and in Montréal this season — served up this toxic patriarchal soup with differing results. Christopher Alden’s COC production at least attempted to point out the unpleasant “boy’s club” nature of Rigoletto’s court, causing us to examine what kind of society it is when men can quietly sit in plush leather armchairs in an oak-paneled room reading the paper while nasty goings-on with women ensue. The use of Giovanna as a procurer for the Duke rather than as a protector of Gilda was an interesting touch, but I wondered — why choose to present women as intriguing and conspiring against one another? A scene from the Canadian Opera Company’s production of Rigoletto, 2018. Photo: Michael Cooper. This feature was also present in Michael Cavanagh’s production in Montréal, but there was nothing to cushion the blow of this. On the contrary, there was little to no addressing of the fact that women were ceaselessly abused, violated and murdered in this production, without any reaction whatsoever from the bystanders on stage, regardless of gender. This simply cannot stand. We have a role to play in meaningful dialogue around difficult themes — #MeToo, human rights, treatment of indigenous peoples, genocide, violence and so on. It’s no longer good enough to hide behind the art — we need to use it to shine a light into the dark corners of human existence and open up the space for meaningful and constructive dialogue. It’s our job. So much for the opera companies. Now, how do we train young artists to adeptly navigate this new landscape? We need to give them tools to train their chops as improvisers. We need to train them how to talk and write about their art form, and to engage with political and social themes. We need to train them in the savvy use of digital technology and social media, so that they can reach their audiences and engage with them. We need to provide them with hands-on learning experiences so that they can see how their art form (and what they have to offer it) works in the real world. We need to give them entrepreneurship skills. We need to be engaging vigorously with outside partners at our learning institutions, whether they be other places of learning, in the industry or the wider community. We need to increase the diversity of both the repertoire and the people who teach it, so that students (and audiences) see themselves reflected in the stories they tell on stage. Wherefore art thou, opera? Well, I’d say: you exist to move, to inspire, to engage, to enlighten and to propel to action. We’ve got a job to do. Let’s get on it.